Tom JOHNSON: Counting Keys (1982); Organ and Silence for Piano (2002); Tilework for piano (2003); Block Design for Piano (2005). John McAlpine (pno). Edition Wandelweiser Records EWR 0901 (1 CD) (http://www.timescraper.de/). 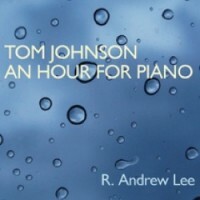 Tom JOHNSON: An Hour for Piano (1971). R. Andrew Lee (pno). Irritable Hedgehog IHM 001 (1 CD) (http://www.irritablehedgehog.com/). 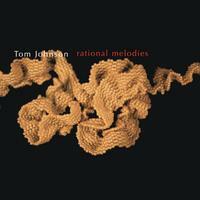 Tom JOHNSON: Rational Melodies (1982). Dedalus: Amélie Berson (fl), Fabrice Villard (clar), Pierre-Stéphane Meugé (sax), Thierry Madiot (trb), Denis Chouillet (pno), Silvia Tarozzi (vln), Deborah Walker (vlc), Eric Chalan (bass), Didier Aschour (guit, cond.). New World Records 80705-2 (1 CD) (http://www.newworldrecords.org/). 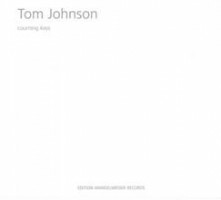 “Cows, Chords & Combinations.” Tom JOHNSON: Rational Melodies: Nos XV, VI, X, XII, XIII (1982); 844 Chords (2005); Narayana’s Cows (1989)*; Vermont Rhythms (2008). Keir Neuringer* (voice), Ensemble Klang: Heiko Geerts, Erik-Jan de With (sax, clars), Anton van Houten (trb), Joey Marijs (perc), Pete Harden (guit), Saskia Lankhoorn (pno). Ensemble Klang EKCD2 (http://music.ensembleklang.com/). It shouldn’t come as a surprise that someone who studied with Morton Feldman would provide elegant composition titles. There the similarities end. In a rough sense, mathematical minimalism governs Johnson’s structures in that they are frequently plotted by the application of numerical rules. A ABB ABBCCC ABBCCCDDDD ABBCCCDDDDEEEEE etc. We hear one note, then the same note repeated followed by two repetitions of a two-note chord, followed by the first note, two repetitions of the two-note chord, then three repetitions of a three-note chord, etc., etc. It’s that simple. And deceptive. One can enjoy Johnson’s work oblivious to its structure. While unmindfulness can diminish the experience, as with Bruckner, it’s not necessary to constantly count. Sometimes patterns unfold quickly, trapping the enlightened listener between identifying structures and enjoying the music. Quite possibly the number of notes in Edition Wandelweiser’s Johnson release surpasses all the notes in all their prior releases put together. Indeed the number of ff and accented pitches must be greater here than in all their other productions. McAlpine may also be a more extroverted player than his label-mates. He favors Johnson’s expressive possibilities over the blueprint. Johnson’s Organ and Silence for Piano, created with McAlpine, is derived from the 1999 Organ and Silence, a collection of 28 predominantly silent pieces. The strategy was to create music that would move forward without the quiet causing cessations. Tilework proceeds methodically through every possible combination of five different groups of three repeated chords. Spaces counteract accents. Block Design may be the hardest to fathom: 330 interleaving six-note arpeggios cycling through 12 fixed pitches in a particular order so that certain four-note groups appear somewhat regularly. It’s possible to miss a point: Only a few pitches are at play within the combinations’ harmonies. The 18-minute span permits pedaling and varied dynamics. With a title that Feldman might have employed, An Hour for Piano requires a full 60 minutes. The concept is refreshing: Bring a clock so that you’ll know where you are and how much remains. Yes, but it’s difficult to experience music with an eye toward absolute time. Lee’s confident strides precisely fill an hour. It’s a remarkable feat, given that the pedal must be kept down throughout, thus further distorting resonance and pulse. As a personal matter, I need to be in the right frame of mind. But once you’ve acclimated, the meter’s up all too soon. The first of the 21 Rational Melodies is enormous fun. Scored for a solo line, the collection may be played by any instrument in any octave or transposition. For the most part, Dedalus and Klang double the melodies, sometimes trading away pitches to suit their instruments’ registers, or simply piling on for effect. Both ensembles favor electric guitars and saxophones. Of course a Dutch ensemble heavy on saxes and guitars sounds like Andriessen. Dedalus adds flute and strings for a crisp treble. Some of Dedalus’ ensemble blends (No. 14) suggest mid-century pop. I particularly like Nos. 1 and 12, perhaps because I think I have their structures figured out. No. 1 takes the same melody but changes the rhythm so that the notes’ locations phase. It’s also particularly goofy. No. 12, keeping a regular frame, gradually fills each measure with chromatic notes. It’s reasonable to treat each Melody as a riddle asking for a solution before the music stops. For me, it’s great road music, despite my difficulty in finding companions who enjoy these puzzles. The energetic Ensemble Klang offers its work in attractive, self-produced packages. They’ve recorded five of the Rational Melodies as appetizers to longer, more intricate compositions. They generally favor brisk tempos. Perhaps owing to the proliferation of suspended chords, 844 Chords plays as a slog. I much prefer Narayana’s Cows, a math problem the narration of which illustrates the structure. 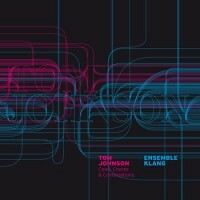 Johnson, impressed with Klang’s rendition of Narayana’s Cows and the Rational Melodies, wrote the highly syncopated Vermont Rhythms for this ensemble. Built from all 462 six-note rhythms playable in 11 beats, Vermont Rhythms impresses this listener as treacherous terrain. One for the record books: Johnson looks to be first composer to write for a synchronized juggling troupe.